(KFVS) - Light rain showers are moving east out of the area, but the clouds will continue to hang around. Temperatures this evening will slowly fall into the 30s. Lows by morning will be in the lower to middle 30s. Friday will continue to be mostly cloudy and chilly. Highs will reach the upper 30s and lower 40s. 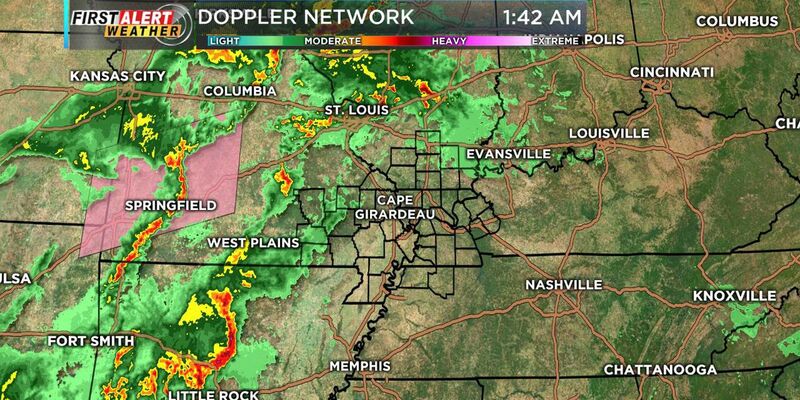 The First Alert Weather Team is still tracking a storm system that could bring a significant impact to the Heartland.